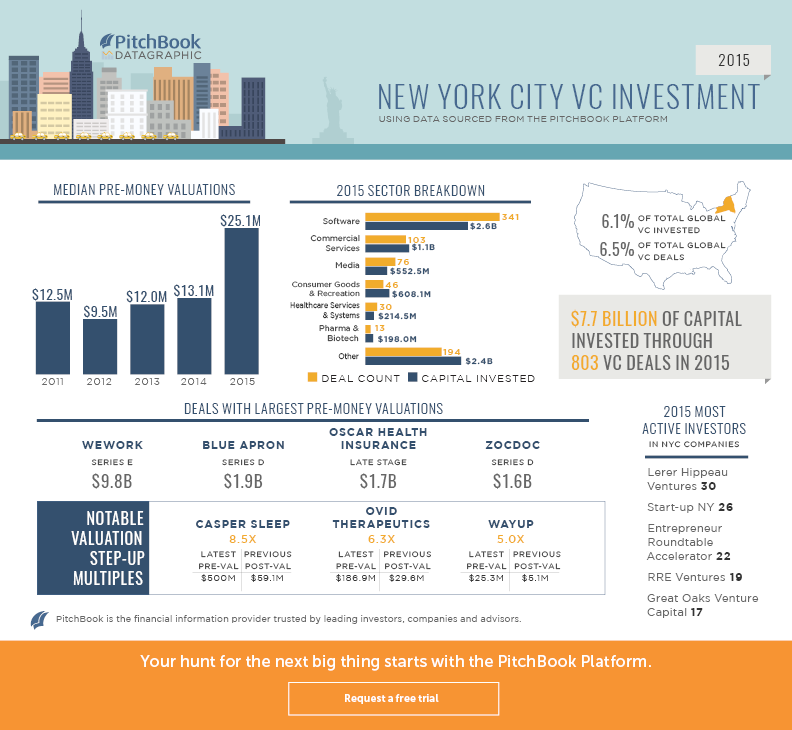 Our 2015 in Review coverage has mainly focused on global activity and overarching trends in PE and VC (you can take a look through all of our coverage by clicking here). Taking a deeper dive in venture capital investment within the U.S., we have broken down the activity in several key markets, examining how each fared during the year. 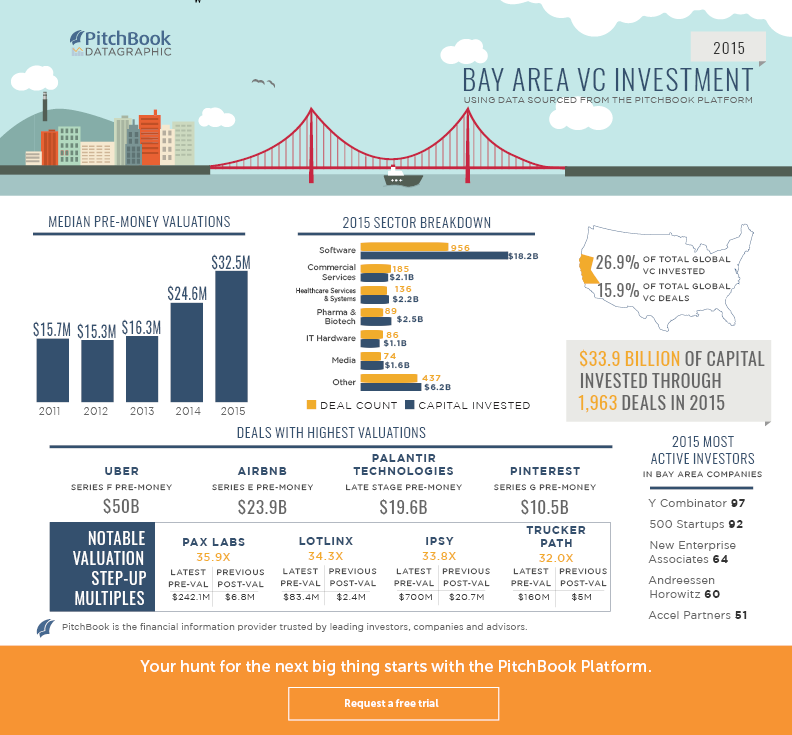 Below are datagraphics covering VC investment in the Bay Area, the Pacific Northwest and the New York City Metro regions, with data on pre-money valuations, major deals within the markets, top investors and much more. Over the next few days we will also be providing breakdowns for several more U.S. regions, as well as for major European regions. Make sure to check back for those later this week. 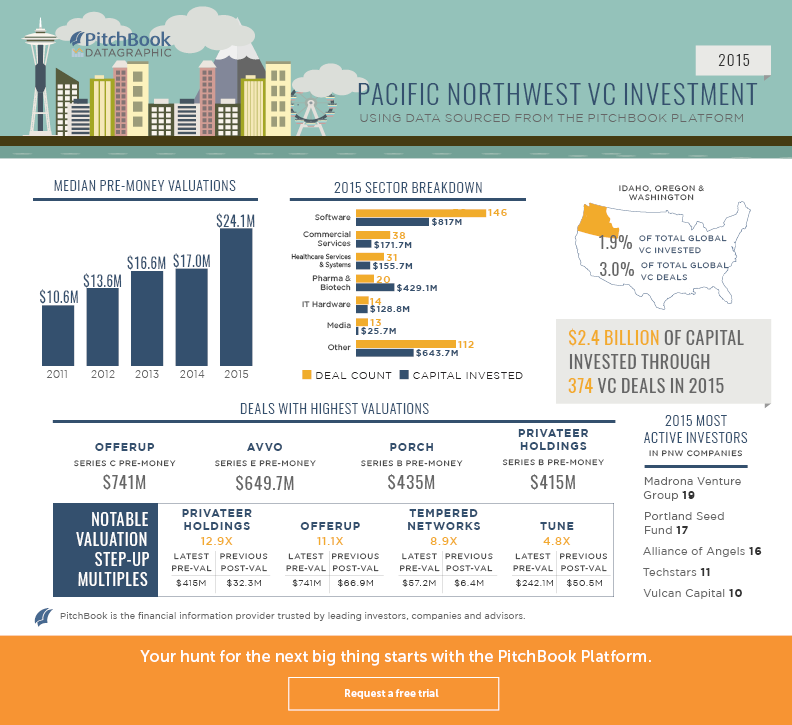 For additional data on venture capital investment in the Bay Area, the Pacific Northwest, New York City Metro or any other U.S. or global region, contact us here.